Plagiarism checker is a web-based online duplicate content scanner tool designed to detect the duplicate content/article on any online source by SEO Tools Centre. SEO Tools Centre is dedicated to providing 100% free, efficient and reliable SEO Tools to their users and plagiarism remover is one of them. How does SEO Tools Centre plagiarism checker work? SEO Tools Centre plagiarism checker tool scanned your inserted text carefully for duplicate or plagiarized issues. Mostly it displays red highlighted text in your results as some common phrases may red flags signs. Our plagiarism checker tool will identify the exact source of the duplicate or plagiarized content which copied from the internet. SEO Tools Centre designed to automatically delete any record of search/check made on them. How to understand SEO Tools Center Plagiarism Checker results? The sentence or phrases with red “Already Exists” will not pass the Google plagiarism test. The plagiarized sentences are links also and you see the original source for your record by clicking links one by one. When the analysis of date is done, then we will be able to find out the exact and accurate percentage that will indicate much reliability of this article is. It means it will tell us that whether the article is unique or plagiarized. Using duplicate content will be the result in lower page rank (PR). If your content is duplicate or thieved from any online source, it has maximum chances to be hit by Google penalty. If you want to publish duplicate content on your website then it will be very risky and have maximum chance that your website will be blacklisted due to publishing spam and also be penalized by Google and other search engines. If you want to get higher page ranking (Page rank is dead now) and Search engine results placement then never take this risk by publishing duplicate content. You can achieve your goal only by unique and quality content that engage human readers. The feature of our free plagiarism checking tool is that it can be used to analyze the uniqueness of rewritten or spun content. If you use SEO tools Centre's free plagiarism checker tool before publishing every content, it may secure your website from black hat SEO. In fact, the Freelancers, pro article rewriters, students and teachers always rely on our article checker because our free plagiarism software provides the result with the percentage to analyze their content is 100% unique or not before submitting their work. Our plagiarism software is a legit product with rich user’s experience. You can also check your whole/entire website using unique content checker tool to make sure that nobody thieving your content. There is no doubt that, there are great uses of content detection tool behind SEO. Students also use it to papers for duplicate issues before submitting their assignments and research papers. Meanwhile, teachers use it for analyzing plagiarism in assignments and research papers which submitted by their students. Plagiarism remover tool can be defined as double edge sword so, so use it with caution. Other plagiarism checking tools are limited and ask you to upgrade after few queries to unlock more search queries. But we are free now and forever without any signup or membership. What does SEO tools Centre duplicate content checker offers? 1. It informs you about content uniqueness percentage. 2. It highlights the duplicate content even the errors and their exact source where the same content is available. 3. It shows the reality of your work and prepares you to come with real and creative things. 4. It enhances the value of your content by giving surety that your content is unique or plagiarized. 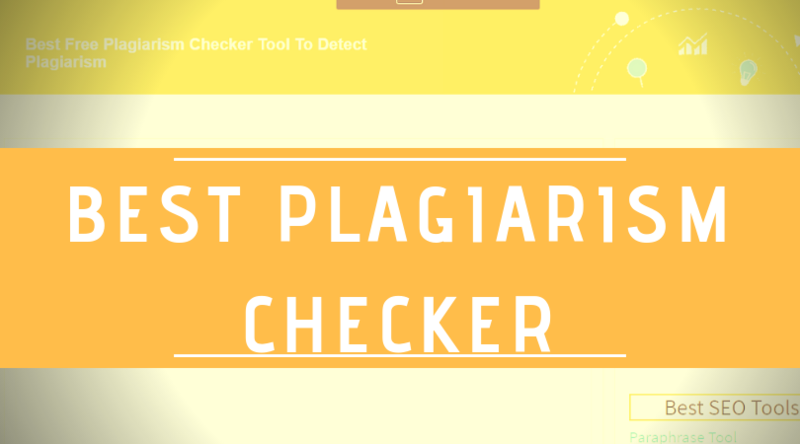 There are three ways to check for plagiarism using SEO Tools Centre, using out free plagiarism checker. Let’s discuss all of them one by one. 1. Check website plagiarism: In this way, you can check your entire/whole website for off-page duplicate content issues. You just have to insert your website homepage URL or post URL which you want to analyze for duplicate issues. The tool will display results with percentage purity of your website content. 2. Check document for plagiarism: If you want to analyze your document file or paper for plagiarism using SEO tools Centre. Simply click on “select file” and browse your documents file that you want to analyze for plagiarism. Our article plagiarism checker will automatically insert the text from documents file to the text box and you will be able to analyze it for plagiarism using advanced technology. Our free plagiarism tool support .doc, .text and word pad file formats. 3. Check text for plagiarism: It’s so simple. Just copy your text and paste it into the text area and hit the button “check for plagiarism”. Note: We recommend you to always Check your article/content keywords density using "Article Density Checker" and lookup for grammar mistakes using "Grammar Checker tool" before analyzing it for plagiarism to avoid spam.